Medical Practice Marketing – Zizion – Revenue through innovation. In today’s medical fields of orthopedics, dentistry, aesthetics, chiropractic and interventional pain management, physicians must proactively market their practice in order to be competitive. In health care, it is important to deliver messages that not only connect with your target audience on an emotional and rational level, but also respect compliance and accuracy. In order for new buyers to take notice, branding and marketing your practice requires a carefully designed, focused plan that sets you apart from the competition. The first step in marketing your practice is to identify the values and needs of your target audience.We start with analyzing the demographics of the geographical areas your practice expects to serve, distinguishing your competition, and exploring your practice’s strengths, limitations, unique prospects, and potential difficulties. 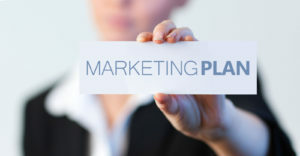 These answers help us design a strategic marketing plan that focuses on educating patients, referring physicians and the community about the services your practice offers, as well as tracking results. Advertising is only one way to communicate your particular message or services. A drawback to advertising without a medical marketing plan is that the people it reaches may or may not be viable patients. To set your practice apart, you must highlight your area of expertise or personal interest. Let’s say as a dentist, your personal interest is cosmetic dentistry, and your target patient is the young adult who has never been happy with their smile. One rewarding direction is to volunteer for the less fortunate who have had damage or loss of teeth due to hardship. For instance, The American Academy of Cosmetic Dentistry Charitable Foundation’s Give Back a Smile program provides dental care at no cost to survivors of domestic and sexual violence who have received traumatic dental injuries at the hands of a former partner or family member. Through this program, volunteer dentists restore or replace damaged teeth and you become not only an advocate for a great cause, but take part in something you really believe in. You can further build relationships in the community by talking to shelters, schools, and other organizations or even write a column in the local newspaper or blog. It is valuable to be quoted as an expert or leader in your specialty, which can be accomplished by contributing to a column in the local paper, writing a blog or speaking at schools or professional associations. Reach out to organizations and media outlets in which your professional advice could be useful, such as introducing new pain intervention methods for chemotherapy patients at a cancer center. If you have a very active blog or decent-sized Twitter following, the media may extend an offer to you. Decide on the patients you want to attract. Do you accept all major insurance plans but want to eliminate those that have proven unmanageable? Do you want to expand your patient base with payer groups that have provide more fair and reasonable reimbursements? One strategy is to market certain employers or insurance plans. You can also target a particular demographic by advertising to specific areas or using specialized social media. Make sure patients are aware of your recently updated services, addition of physicians or new business hours. Banners, posters, handouts or signs in the waiting room can keep your patients informed. Announcements on Facebook and Twitter, emailing newsletters or broadcasting on your website can help get the word out. Your current patients may be the most powerful marketing tool you have, so let them be the core of your initial efforts. Make sure your brand is true to who you are. All healthcare providers have aspirations and expectations about the kind of practice they want to create. You may have preferences as to the size of your ideal practice or the type of patients you most want to serve, but most likely you have the vision of your medical brand identity in mind. Communicating the spirit of who you are as a practitioner and what your practice is all about is key to building a successful practice that patients want to refer their family and friends to. When a patient makes an appointment, enters your waiting room or has their first consultation, each stage is an opportunity to create a positive experience and become a valuable part of the community. At the end of the day, your medical brand identity is about your mission and philosophy, not just your logo or the signage outside your office. It’s the consistent use of images, colors, words, messages and actions that define your brand identity and your practice. Build bonds with other doctors. Under the Affordable Care Act, especially in reference to promoting and rewarding team-based health care, networking with other doctors to encourage referrals will be fundamental to practice success. This can be accomplished through interaction with medical associations and other professional organizations for healthcare practitioners. Social media marketing regarding the healthcare profession is changing how prospective patients find your practice, how they share their experiences and ultimately who they will rely on for their health care needs. In this day and age, people are more likely than ever to seek health information and referrals through social media. Participation in Facebook, YouTube, Twitter, LinkedIn, Yelp and Google+ will increase your online presence and enhance your medical practice marketing. You can promote testimonials on Yelp and Google+, post an educational video on YouTube or build your brand on Facebook. These popular forums are more than just a fashionable networking idea – it is a real investment in your practice and reputation. Search engines like Google®, Yahoo!®, MSN® or Bing™ crawl and index billions of web pages every day to return appropriate results to their users when they enter a query. With new rules in place, these search engines are now penalizing sites that are overstuffed with key words. Your content should be well-written and tell an interesting story, educate its users and keep them engaged. Consistently updated, relevant content, newsworthy press releases and compelling blog posts will help gain a user’s attention. If your website contains absorbing content that helps Google® provide the best user experience possible, you will be rewarded with greater visibility of your rankings on the results pages. Optimizing your medical practice website for top ranking in the search engines requires professional intervention so that your site will appear high on the search engine results page every time a prospective patient does a search. Whether it is a new website, logo or brochures for your brand identity; social media and Search Engine Optimization to attract new clients; or content writing and patient communication to get your ideas across; we have the expertise to help you reach your medical practice marketing goals. If you are like most practitioners, you are too busy seeing your patients. The Zizion Group can analyze your practice and produce a unique medical practice marketing plan that will allow you to focus on your existing clientele while driving new potential customers through your doors. Contact us today 561-221-1000 to schedule a consultation.